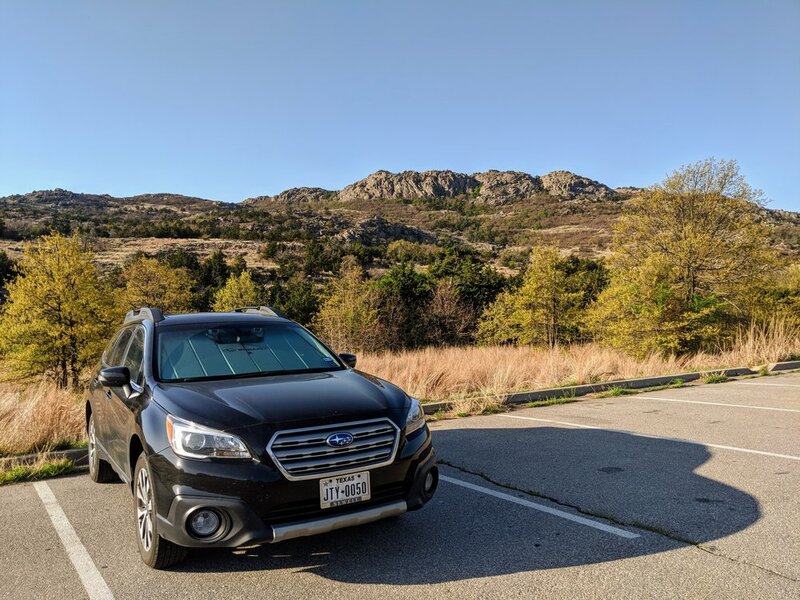 2017 Subaru Outback - 1 Year Celebration! Climate Control - The system has me cooled off before I leave the parking garage, it's fantastic and stays strong as the sun beats in on my hour long commute home. Good cooling goes a long way during Texas summers. Entertainment - My music has never sounded so good, and I've always had upgraded sound systems in my cars. I love the steering wheel controls and the Bluetooth connects swiftly every time. Visibility - Driving through traffic can be hazardous, but I have great lines of sight in the Outback that pair nicely with the safety features to ensure I get home in one piece. Safety - EyeSight has saved me more than once, both in alert and automatic braking, as well has eased commutes with adaptive cruise control for the less congested areas. 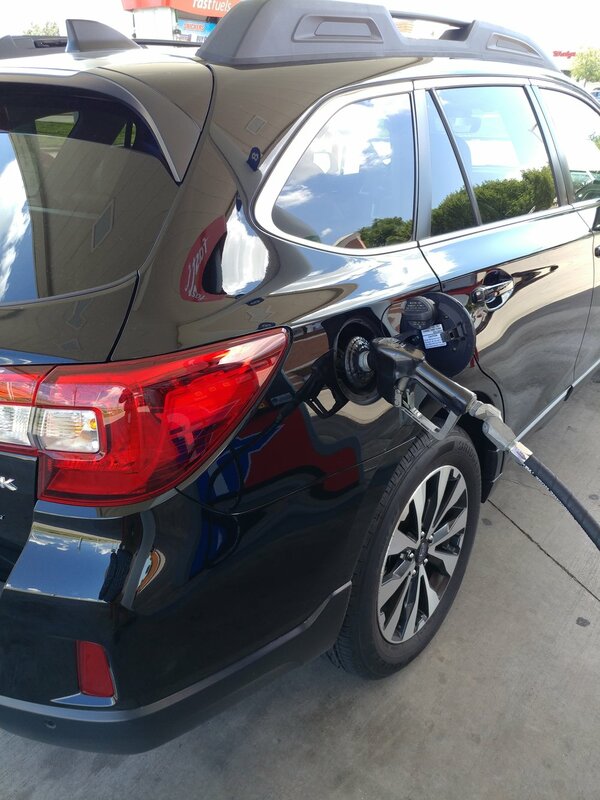 Gas Mileage - With a large tank, long range, and excellent highway mileage, the Outback is designed for road trips. Added bonus, I only have to fill up once per week for commutes. Total win. To Work - as boring as it may seem, I need to get there to make money to take adventures so I'm glad I don't have to worry about anything because Oliver the Outback is takin' care of business. 52 Hikes With Mike - While I've had to fly and rent cars for a few hikes, I've taken Oliver to places both near and far to get a good hike in. I love the custom rubber tray in the back because it contains the mess from my sweaty pack and dirty hiking boots. 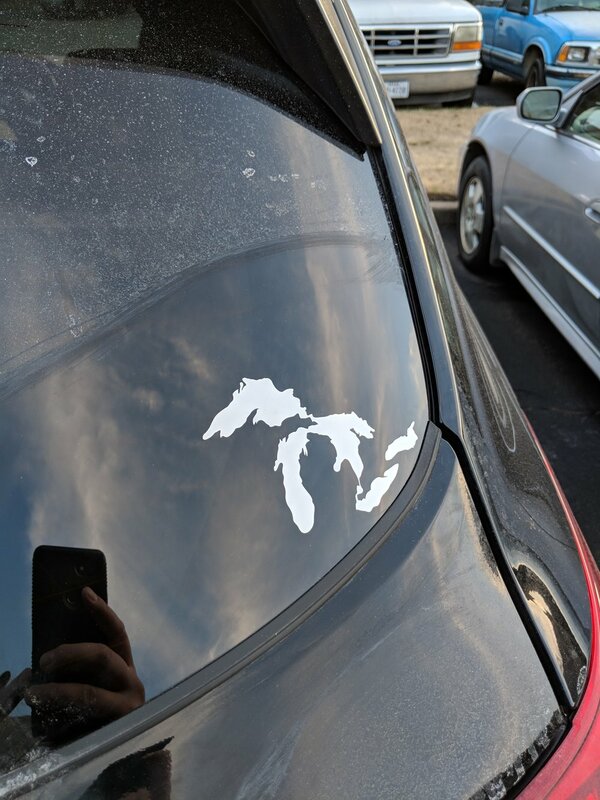 Michigan - I'm from the mitten state, so in June of 2018 we drove on up to visit my family and it was a superb ride. We only had to stop a few times for gas, which made me happy. 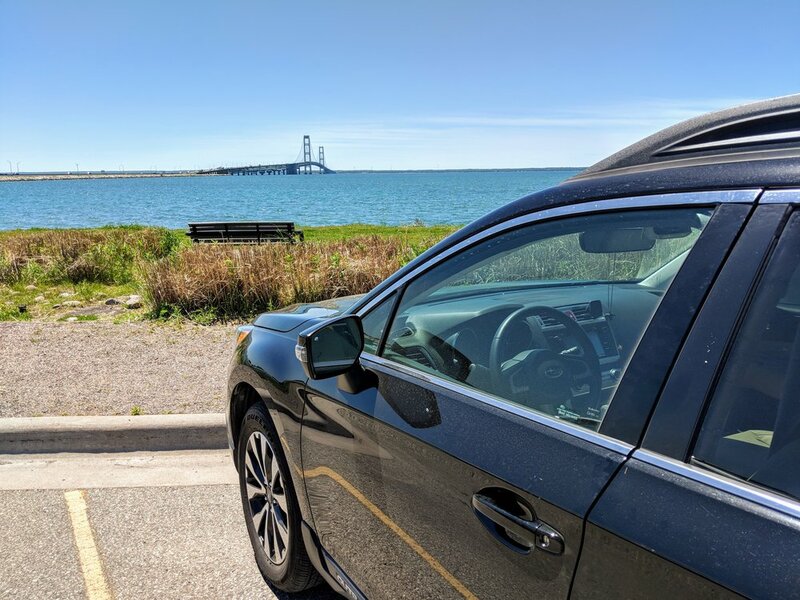 Oliver the Outback crossed the Mighty Mackinaw Bridge, got dusty on the Northern Michigan back roads, and took us safely 3145.1 miles. Going forward, I have a few trips in the back of my mind that I want to take that Oliver the Outback will be perfect for. Once the weather cools, we'll hit up the campgrounds out west in Texas, and visit Big Bend. Until then, I plan to make an appearance in the Santa Fe National Forest and take a quick trip to the North Rim of the Grand Canyon. Here's to another year of safe commutes and amazing adventures! Road trip with me, write with me, or just hike with me! 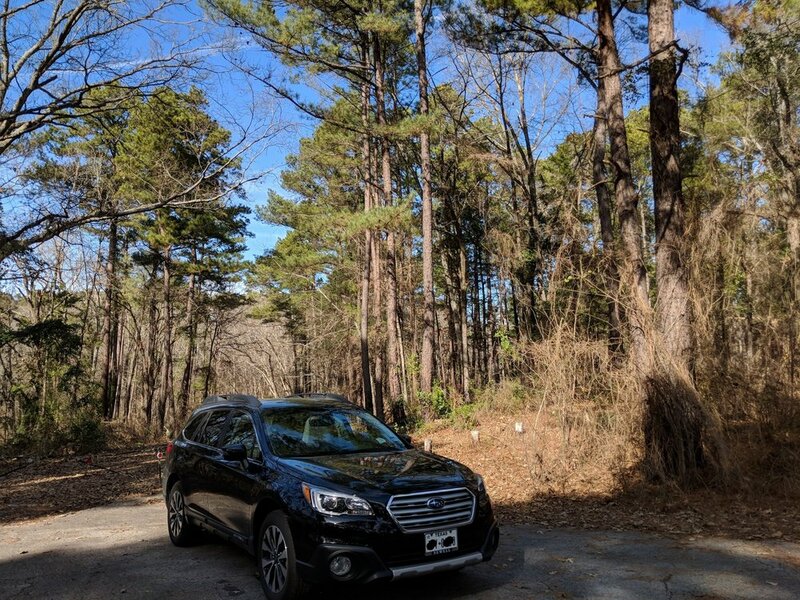 I have the 2.5i Limited in black with warm ivory interior named Oliver the Outback and it's been my favorite car to own to date. I've had a lot of hand me down cars, unreliable used cars, and a couple of newer cars more recently that have just not stood up to the miles I put on with commuting and adventures. This car is comfortable to ride in, offers good visibility, has almost 9 inches of ground clearance, and the sunroof I require for all of my cars. This is the year of adventures and Oliver the Outback will be front and center. EyeSight Technology - The driver assist technology is something I was skeptical about in the beginning because I didn't know if the control freak in me would like it, but I've grown to love it. I don't use the lane keep assist tech very much, but I do use adaptive cruise control a lot and have really learned to appreciate it when flowing with traffic. The pre-collision braking has saved us from at least one wreck and it was heart stopping in the best way. I wasn't distracted, I just didn't judge for the proper stopping distance and that's when the car took over and we came to a dead stop just in time. The technology has really helped me be more aware of my surroundings and pay closer attention to my driving. 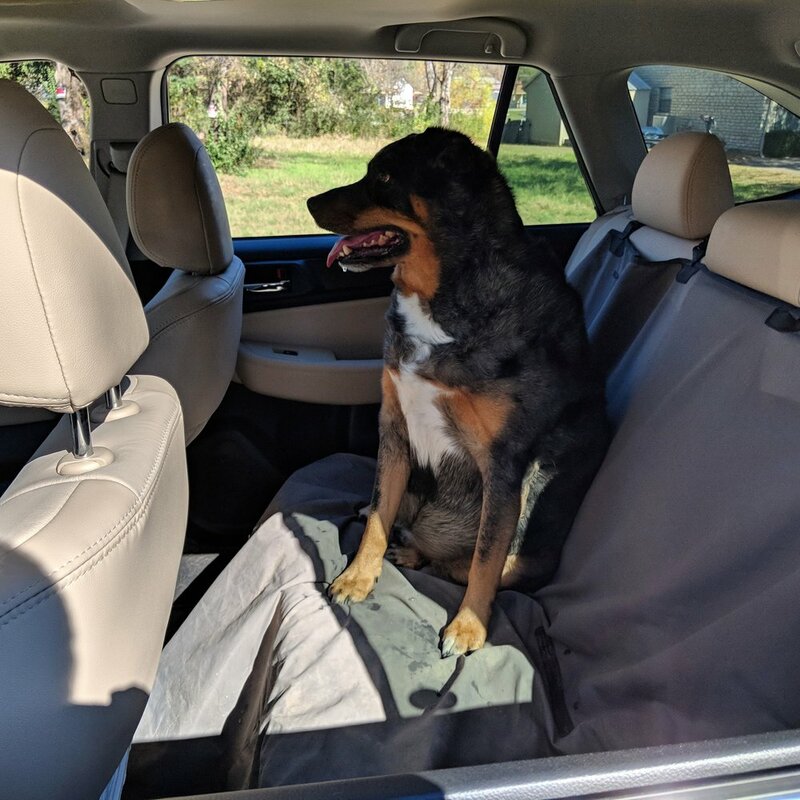 Cargo Space - I have a Ruffwear canvas seat cover for Chewy on the back seats which leaves room in the cargo area for all of the camping or road trip gear necessary. Fold the seats down, and the Outback can haul entire shelving units or other equally large items. Since Chewy will always be along for the road trip, I don't see us using it for sleeping, but I've heard it can be done. I hope to camp more, now that it's cooler outside, so we'll be testing the cargo capacity even more in the coming months. 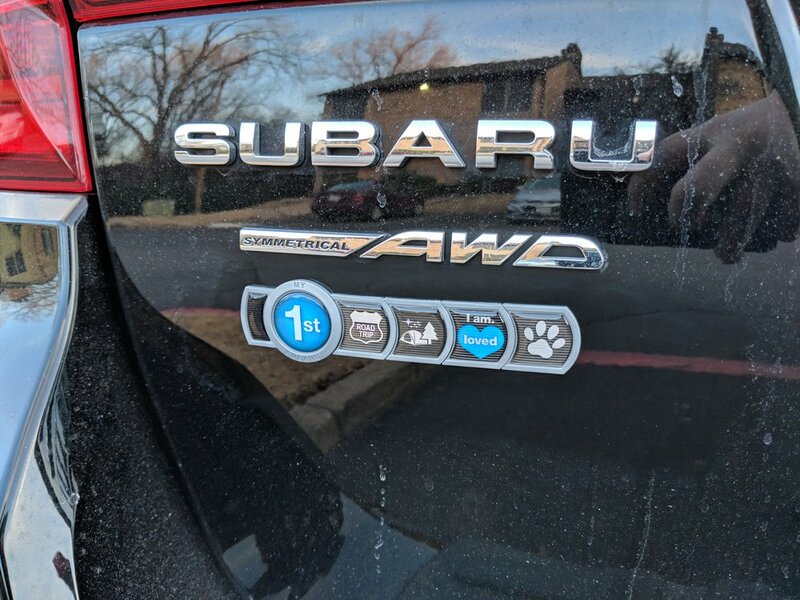 Ride Quality - I didn't know how to take AWD, but it has been a zero adjustment technology. When it comes to actual cruising quality, this car is mostly smooth and comfortable. Road noise is normal, nothing like a super hushed luxury car, but definitely a lot better than my previous car. Keyless Entry & Push Button Start - As silly as it sounds, it's one of my favorite things about this car. I can take or leave the power liftgate, but "touching the door handle" to open the car is genius. When I approach the car, exterior lights in the mirrors illuminate the door handle which is also nice. I have been prevented, at least ten times now, from locking my keys in the car and for that feature alone I'm the most grateful. Starlink Infotainment Unit - The FM radio works fine, so I shouldn't complain, but the Bluetooth connectivity can be touch and go, the interface and available apps is laughable, and the design is nothing to write home about. I don't use the navigation system too much, though I do like some aspects, it's often just easier to use Google Maps. Some days, I have to reconnect my phone or my phone just doesn't stay connected without a reset on both ends. Frustrating, but not deal breaking things here. Starlink is still better than whatever my Jeep Patriot had in 2014. Rattle - I had a rattle in my passenger side dash develop recently. It's intermittent, but I'll have them check it out at my next service. The climate control, display, and everything else is just fine. 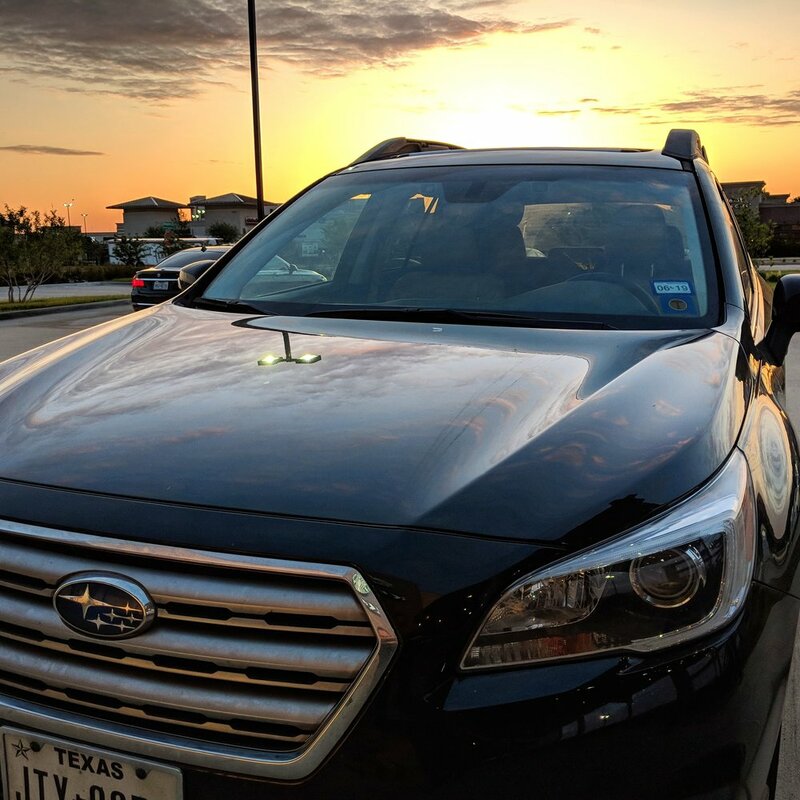 The leather is holding up, even with a dog constantly drooling on the seat in front of him, the rubber floor mats are a big bonus, and the sunshade really helps here in Texas. The Outback is utilitarian in design, but comfortable and nice to look at. I love that the mirrors have turn signal indicators in them and I love that the taillights are LED with YELLOW turn signal lights. I think all turn signal lights should be yellow, in all cars, but that's just me. At just over six months of ownership, with 13,300 miles, I'm already looking forward to the next 10 years. I truly love this car enough to want to keep it until it doesn't want to go anymore. Looking ahead, I hope to get a cargo rack or box for the roof, possibly upgrade the fog lights to match the headlights, and get a set of better tires when these stock tires wear down.